Subscribing allows you to get site updates and special alerts to events. Your email address will be kept private. 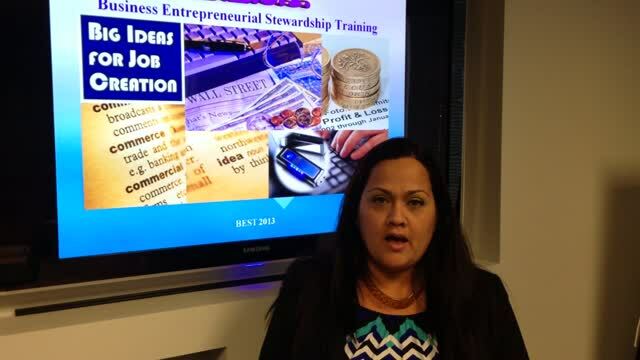 Business Entrepreneurial Stewardship Training Website! The Business Entrepreneurial Stewardship Training (BEST) Mobile Accelerator Program is an 4-week Project-Centric, Professional-Action-Competency, Mobile Device-Based Program. Each participant (enterpriser) will identify and choose to commit to an idea (project) to research, analyze, and to write a Business Plan for a specific type of business venture; which will then be implemented and executed to generate one new business enterprise; and will create at minimum one new job (your own vocation). This training program builds the business ownership (executive) skill-set using the four dimensions of competency – technical, methodological, social and individual – that are promoted and transmitted integrally through entrepreneurial principles and technical assistance; which produces the main objective of preparing purpose-motivated visionary people with professional action skills to start-up an enterprise and to succeed in business. This special gift is for our visitors! Enter your Name and E-Mail Address to receive your FREE Copy of the Business Plan Interview e-Book today. Also, BEST Graduates (Enterprisers) may sign-up as a BEST Member for access to Members Area for peer interaction and to receive special offers, updates, invitations to Google Hangouts; and to contribute as a BEST Connection Guest Blogger. Thank you for your request for the Business Plan Interview. You will receive download instructions via e-mail. A Great Tool! Engage the Business Plan Interview for your first step in organizing your road map for business success! Available as either an e-Book or PDF Workbook. We welcome your comments about the Business Plan Interview.